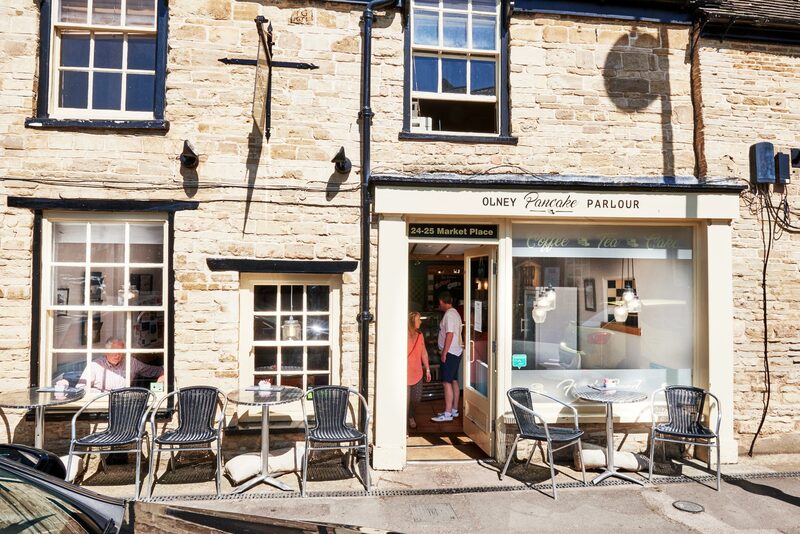 Olney's first pancake parlour: serving a range of sweet and savoury pancakes as well as Breakfast, Brunch, Lunch and other sweet treats. This is a family run business supported by a great team, providing an excellent service & delicious fresh food. The Pancake Parlour is the perfect place for a catch up coffee, breakfast, brunch, lunch or even a special Pancake Afternoon Tea. All freshly made by great chefs and served by their friendly team. Gluten Free and Vegan options are available. The grade 2 listed building located on the Market Place is very deceptive, something of a 'tardis', with three rooms and four tables out front they offer just under a hundred covers. Voted Olney Independent shop of the year 2018. A diverse customer base: Mums with babies, cyclists, business people and local regulars. 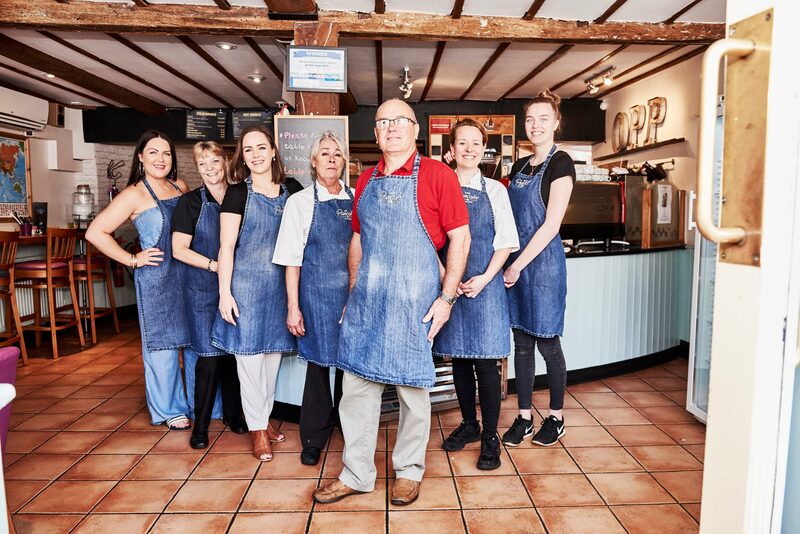 The Donaldson family bought the cafe and named it Olney Pancake Parlour, in honour of the town's history and tradition as the home of the Pancake Race. The Donaldson family has lived in the town since 1995 and had many family discussions about the dream of owning a cafe. In 2016, they took the plunge. The business is managed by sisters Jennifer and Gillian and supported by parents Barry and Sandra. OPENING HOURS: Food stops being served 45 mins before closing time. Open on bank holidays as per usual, over Christmas period hours may vary, so please check before travel.